As I am getting more and more back into comics I have become very interested in how they get made. And I hope to learn lessons, or reinforce lessons, that can be used in my own professional life. 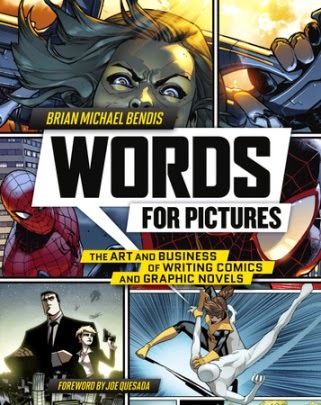 Words For Pictures: The Art and Business of Writing Comics and Graphic Novels by Brian Michael Bendis provides an overview of how comics are made, advice on writing and practical advice about working in the comics field. Bendis being an accomplished comic book writer provides a writer’s perspective based on his own experiences. He explains how to pitch a project; both an original story and a work for hire licensed story. He explains what goes into writing a script and how artists, letterers, colorists and editors work together. While Bendis is an author, he spends quite a bit of time discussing how to work with artists, including what they like and do not like in scripts. And he details how to interact with an editor. To help expand the focus away from just writing, Bendis includes round tables and interviews with artists and editors to provide color to the comic creation experience. A theme that runs throughout the books is collaboration, since unless a creator is doing all phases of production they must work with other creative people. Bendis sets the expectation that everyone must be credited and how to get the most out of the collaborative experience which vary from team to team and project to project. An aspect of the team that Bendis does not ignore is the business side of creativity providing key lessons from his own business failures. The book ends with exercises to help get writers writing. The majority of the book is heavily illustrated, largely with Marvel illustrations, typically with art that links to the process or creators he is discussing on the page. Words for Pictures is easy to read thanks to clarity, interesting personal experiences and illustrations. The text is broken up with interviews and profiles being interspersed throughout the book. The only thing that I found odd is that the writer FAQ and writing exercise chapter are not illustrated with margins that are stark white. While these plain pages may be a blank slate to motivate writers, for a general interest reader like me the pages seemed stark and different enough from the heavily illustrated pages that it seems like someone just forgot about these pages. The Marvel illustrations let a Disney fan know early that Bendis has strong ties to the company. One feels like they are reading the inside story from a Disney insider, much like one would with an Imagineer, because Disney owned art is everywhere. A good example of how this enriches the experience for the Marvel fan is Bendis' detailed description of the development of the Spider-Men storyline. 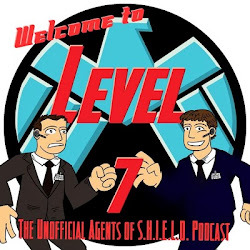 And while it was originated decades before the Disney purchase with Stan Lee there is an interesting discussion of what the Marvel method is and who if anyone likes it. Words For Pictures: The Art and Business of Writing Comics and Graphic Novels by Brian Michael Bendis does a good job of explaining the comics creation process and providing tips and tools for getting into the comics industry. However, for the general public, Bendis does an excellent job of showing the power of collaboration. Being someone who works on teams everyday, it was nice to see that even in my beloved comics collaboration is key. And as a Disney fan, I loved reading how the Marvel arm functions as an artistic endeavor. While this book may not be a Between Book for every Disney fan, for those interested in creativity and Marvel should look at picking up this title.